Preheat the oven to 180°c and line a loaf pan with baking paper. In a medium size bowl, stir together dry ingredients i.e. flour, bicarb soda, cardamon, cinnamon, mixed spice, ground ginger and chopped nuts until well combined then set aside. Using the stand mixer fitted with the paddle attachment, cream the butter and sugar on medium speed until pale and fluffy. Then continue on medium speed add one egg at a time, beating well after each addition. Add bananas to mixture and beat again on medium speed until well combined. Then stir in the dry ingredients until combined. Pour the mixture into the prepared loaf pan and top with the extra banana sliced lengthways remembering to gently press into the mixture. Bake for 65-70 minutes until a skewer inserted into the bread comes out clean and the bread has risen well. Turn onto a wire rack to cool then slice to serve. 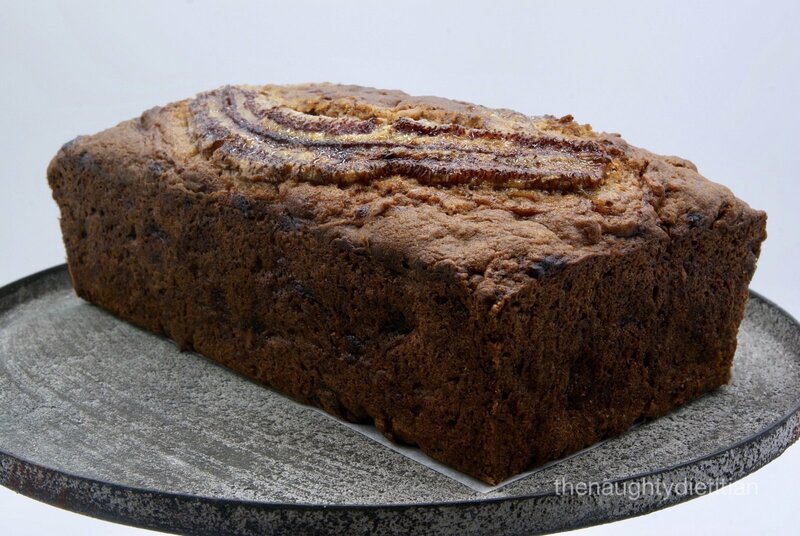 This entry was posted in Bread, Food and tagged Banana, Banana Bread, Bread, Cake, Chai Spice, Gluten Free, recipe. Bookmark the permalink.